With my steadily increasingly obsession with the sport of football it was inevitable that this new (at that time) passion would cross paths with my constant love affair with words. Since then I’ve read a fair few books on and about football related topics and continue to though I haven’t gotten around to as many I would have liked. This is the first in a series of reviews about football-related books for a range of audiences and fans. Franklin Foer is an American journalist and his ‘outsider’ status is evident throughout a book that focuses on a sport that still hasn’t caught on much in the States. Even though his research is fairly deep and the writing style fluid and engaging, Foer does slip up at times with phrases that no football fan would use (the consistent use of ‘soccer’ being the worst offender; the book was originally titled How Soccer Explains the World). It also seems at times like he’s very gullible and susceptible to believing everything he hears. But if you look at it from his perspective of someone who wasn’t born into that culture, these errors are easier to overlook. And this is a good thing because many of the experiences written with such flair, insight and wit by Foer shouldn’t be missed or given less attention because we are so focused on the mistakes. He writes about his travels and interviews with fans of diverse clubs beginning with Red Star Belgrade, the violence of one of the most notorious Serbian warlords and gangsters known popularly as Arkan who united fans for a serious form of battle when Yugoslavia collapsed into civil war, and an interview with a senior member of a Red Star fan club called Ultra Bad Boys who wonders whether he should kill Foer. We move on to the Roman Catholic (Celtic) vs Protestant (Rangers) rivalry of Glasgow’s Old Firm with the intense passion, ethnic hatred and hooliganism, then to the Semitism revolving around Tottenham Hotspurs and Ajax as well as the history of Vienna’s Hakoah – a predominantly Jewish club, followed by the politics of Latin America with the corruption and cartolas of Brazil and the consequent sad state of affairs of a sport that is religion for its masses. We travel to Ukraine where having Nigerian players is a fad, a matter of honour, pride and a sign of talent, where managers are signed simply because they can speak English and communicate with these foreign players, before taking a trip to Italy where Foer highlights power struggles and intricate relationships between the old (Juventus of Turin and its owners the patrician Agnelli family which also owns Fiat, the Rizzoli publishing empire and many important newspapers including Corriere della Sera) and the new (AC Milan owned by Prime Minister Silvio Berlusconi). Foer treats us a history of his favourite club FC Barcelona (Mes que un club – More than a club), of its strong, deep roots with the Catalan identity and way of life, before moving to how the game of football can be Islam’s hope with an account of female fans in Tehran standing up to the narrow-minded laws banning women from watching football by breaking into the stadium to celebrate Iran’s qualification for the 1998 World Cup. The last chapter is titled How Soccer Explains the American Culture Wars and talks about how the love for soccer isn’t necessarily related to whether American loyalties lie with the Democrats or the Republicans, how it’s regarded as a largely yuppie sport of the ‘elite’ instead of the game’s worldwide working class roots and how America is fighting the march of globalisation just like everyone else. At the start of the book, Foer states that ‘the big question of the book is less economic than cultural.’ And in this regard he succeeds by showing how in spite of widespread globalisation (maybe even because of it), there is a failure to ‘diminish the game’s local cultures, local blood feuds, and even local corruptions.’ In fact as he proves through his interviews with locals across the world, globalisation, while creating a widespread global culture has also surprisingly strengthened local entities. 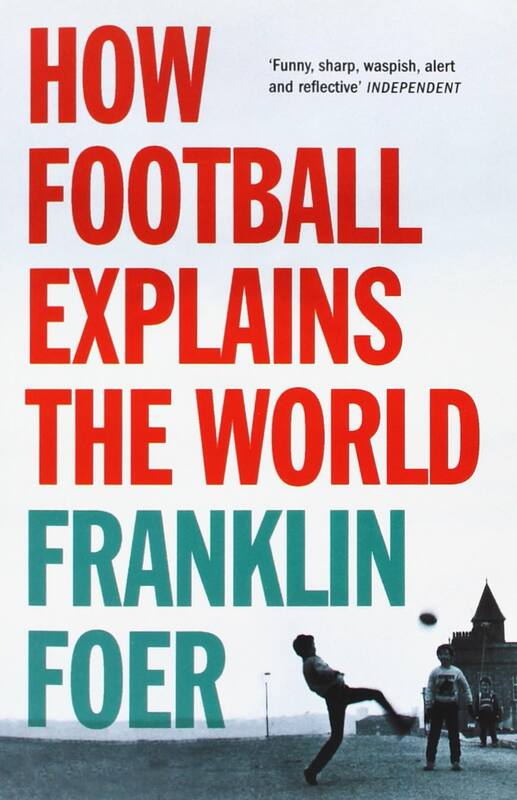 However the book falters when it comes to proving or disproving Foer’s main theories of how the world can be explained by the sport of football. Globalisation theories are oddly forgotten through large parts of the book and Foer isn’t able to offer many valid points to support his wider theories. There is much potential in his ideas and hypotheses but it is never fully followed through, and more often than not sidetracked or entirely omitted for the anecdotes from Foer’s travels. Many times it also feels like he has written the book as an outsider for other outsiders (mainly Americans). Yet by the time you reach the end of the book none of these deficiencies matter. Through these well-written, witty insights into parts of world football that most of us are never exposed to, Foer manages to script a hugely entertaining read. Published writer and editor. Hope is her superpower (unsurprisingly she's a Gooner), but sport, art, music and words are good substitutes.